We stock a complete range of health supplements and home health test kits. Tests include Blood Groups, Bowel Disorders, Chlamydia, Cystitis, Diabetes, Digestive Disorders, Menopause, Osteoporosis, Prostate UV Sun Patches. 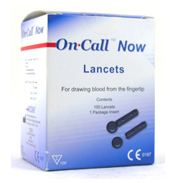 Home Test Kits are ideal for a quick test before checking with your GP.